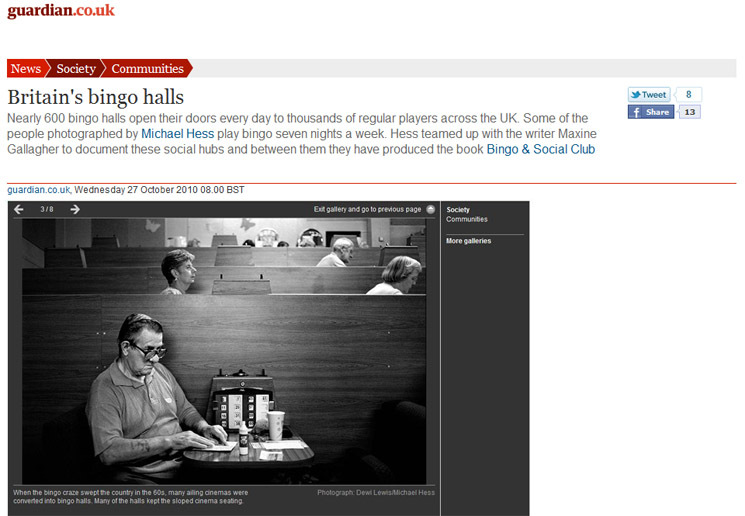 A photography book about bingo in Britain. For several years I travelled with the photographer Michael Hess, interviewing managers and recording conversations with players, extracts of which are throughout the book. Published in November 2010 by Dewi Lewis, it had a very positive critical response. The photos and words were exhibited in The Book Club, London.